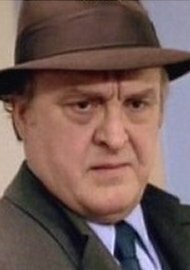 The actor Vincent Gardenia, one of the most recognisable faces on American television in the 1960s and 1970s and twice nominated for an Oscar for his film roles, was born on this day in 1920 in what is now Ercolano, a town that forms part of the Naples metropolitan area. Gardenia starred as the father of Cher's character in the film Moonstruck, was the detective Frank Ochoa alongside Charles Bronson in Death Wish and was Mr Mushnik in the musical film adaptation of Little Shop of Horrors. 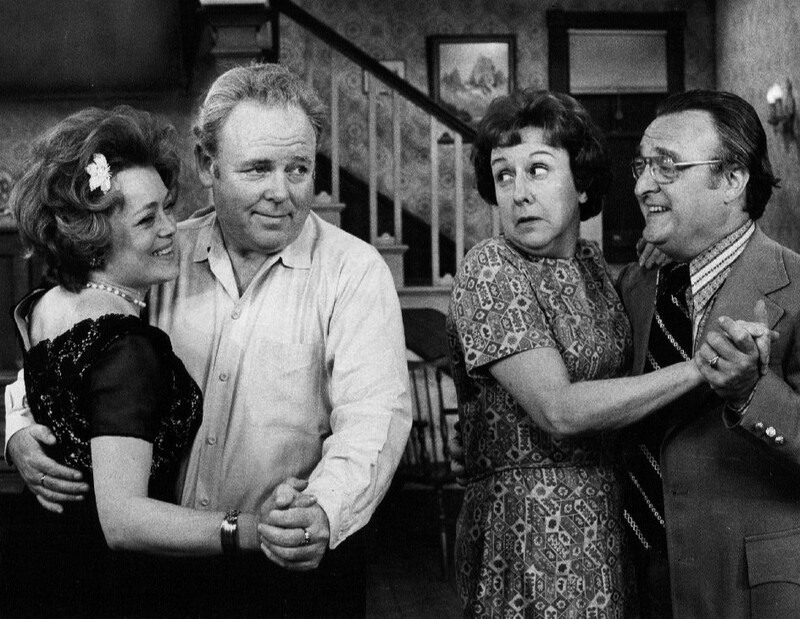 On television, he portrayed J Edgar Hoover in the mini-series Kennedy, starring Martin Sheen as the murdered former president, but was perhaps best known as Archie Bunker's neighbour Frank Lorenzo in the 70s comedy hit All in the Family, which was the American version of the iconic British comedy Till Death Us Do Part. 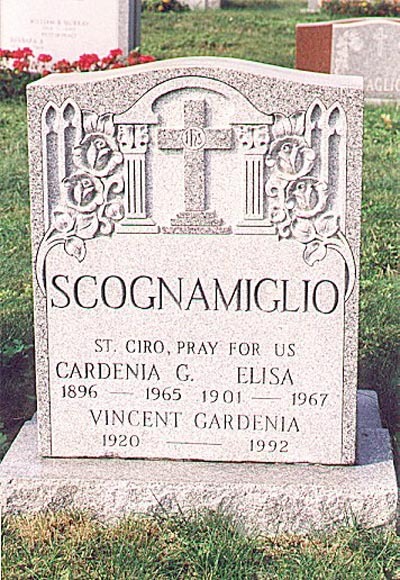 Born Vincenzo Scognamiglio, he spent only the first two years of his life in Italy before his family took the decision to emigrate to the United States, settling in New York in the borough of Brooklyn. His father, Gennaro, had worked as an actor and theatre manager in Naples and soon after arriving in New York established an Italian-language acting troupe that specialized in melodramas, giving performances in the city's many Italian neighbourhoods. Vincenzo made his debut at the age of five, playing a shoeshine boy. He began playing character roles while still a teenager. The troupe continued to provide him with a living into adulthood, when his acting ability began to attract interest from further afield. 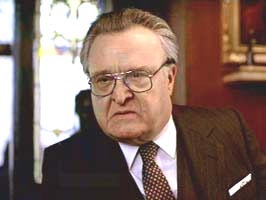 He became known as Vincent Gardenia after deciding to adopt his father's middle name as his stage second name. From the early 1950s he began to take roles away from the family troupe and made his Broadway debut in 1955, when he took an English-speaking part for the first time, portraying a pirate in the play In April Once. The following year he appeared as Piggy in The Man With the Golden Arm, followed by roles in A Streetcar Named Desire and Stalag 17. His talent for comedy came to the fore in the 1970s, when he starred in the in the Neil Simon plays God's Favorite, California Suite and The Prisoner of Second Avenue. He won a Tony Award for his performance as Peter Falk's brother in The Prisoner of Second Avenue in 1971. At the awards ceremony, he gave his acceptance speech in Italian as a tribute to his late father, without whose encouragement, he said, his career might never have happened. Gardenia's film career, which had begun in 1945 with a bit part in The House on 92nd Street but did not begin in earnest until the 1960s, included roles in the Paul Newman movie The Hustler and director Alan Arkin's debut film Little Murders. He was nominated for an Oscar in 1973 for best supporting actor for his role as Dutch, the baseball manager in Bang the Drum Slowly, which starred a then little-known Robert de Niro. Subsequently, he appeared in The Front Page, Heaven Can Wait and Little Shop of Horrors before being nominated for an Academy Award for the second time for Moonstruck in 1987. Gardenia was working right up until his death in December 1992. A passionate supporter of the pure acting of the theatre, he was in Philadelphia, preparing for a three-week run as restaurant owner Lou Garziano in the Tom Dulack comedy Breaking Legs, when he suffered a heart attack. He had retired to his hotel room in good spirits following the final preview performance but was found dead the following morning. He was 72. The director and cast agreed that Gardenia would have insisted 'the show must go on' in best theatrical traditions and his part was taken by Harry Guardino in a performance dedicated by the cast to their colleague. 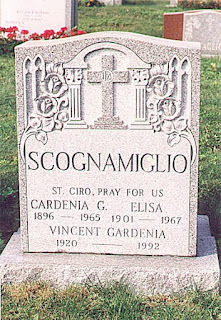 Gardenia was buried at Saint Charles Cemetery in Farmingdale, Long Island, New York, alongside his parents, both of whom had died in the 1960s. A section of 16th Avenue in the Bensonhurst neighbourhood of Brooklyn, where Gardenia lived, was renamed Vincent Gardenia Boulevard in his memory. Until 1969, the town now called Ercolano was known as Resina, the name given to the medieval settlement that built on top of the volcanic material left by the AD 79 eruption of Vesuvius that also destroyed nearby Pompeii. The existence of Ercolano - the Roman city of Herculaneum - was not known until the early 18th century, when a farmer sinking a well came across ancient marble columns. 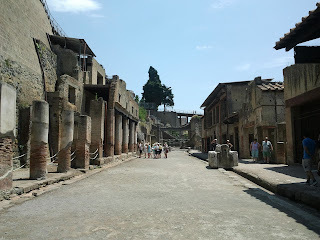 Herculaneum was smaller and less prestigious than Pompeii but is better preserved due to the different volcanic materials that covered the town. The ruins at Pompeii and Ercolano can both be reached by using the Circumvesuviana railway, which encompasses a number of routes including the oldest piece of railway line in Italy, that which links Naples and Portici, which was opened in 1839. A steam train service to Ottoviano was launched in 1891 and the first decade of the 20th century saw the line extended to Pompeii along the coast, with an additional line built to encircle Mount Vesuvius. The coastal line was electrified and stretched to Castellammare di Stabia by 1934. The Second World War and the Vesuvius eruption of 1944 interrupted work on the line but after the war a tunnel of 10km was created to link Castellammare with Vico Equense and the line extended to Sorrento by 1948.